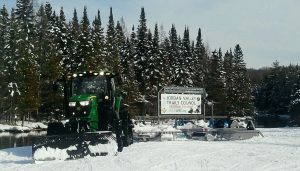 PLEASE REMEMER SNOWMOBILE TRAILS ARE A PRIVILAGE NOT A RIGHT! MANY TRAILS CROSS PRIVATE PROPERTY. PLEASE RESPECT LAND OWNERS AS WELL AS OUR STATE LAND! Trail condition: Fair at best! DANGEROUS SITUATION ON TRAIL 4! About 2 miles east of M66 on Penny Bridge Road and Cascade Road there has been some flooding from the swamp across the trail causing some uneven and wet conditions. With the warmer weather and rain forecasted the guys are formulating a plan to help fix this but we anticipate this will be a year long issue. Please continue to use caution in this area! Very light dusting of snow that will cover any hazards, be cautious. Groomers WILL BE out today to give you good trails for the weekend, weather will determine future grooms but the end is near 131 is thin and if it gets warm be cautious of the puddling water The valley still has good rideable snow with no flowing water except above mentioned area. M66 and Penny Bridge Road our favorite resident has plowed it to the dirt, use the road right of way and ride the banks where you safely can. South trails to Hide a Way an Settings have very good snow still with few thin spots. Upcoming events : Antrim County Snowmobile Club will have their clubhouse open Saturday 10-4 and they have an overnight ride planned to Mackinaw City (not too late to join). East Jordan Sno-Mobilers, Inc. will host their Sunday breakfast served by our friends from the SOUTH ARM ORV CLUB. They also have a busy week ahead planning for their annual Sno-Blast festival. Visit our clubs activities going on this winter! We’ve been asked about our winter weather. (On our FB is the tabulation for the county of snowfall this year). 26.5” in November, 19” in December and as of 01/21, 7”, for a total of 53”!!!! That’s not to mention 1.5” of rain in December as well. A quick look at this explains trail conditions perfectly. Hopefully the next 2 months turns out much better! This summer we also have implemented a new trail that will be groomed this season grooming at the expense of the JVTC until it is officially approved and numbered by the DNR. The paperwork has been submitted for approval and we hope this will come soon. We have coined it the “Lakes of the North powerline connector”. This trail connects Trail 4 on the north side of Lakes of the North to trail 76 along the power line. We will also be maintaining an extension of trail 4 once again from the East Jordan Snowmobilers Inc clubhouse to downtown East Jordan, also at the expense of the JVTC so riders can visit their great community. We have a great group of volunteers, if you’d like to help out in the offseason or inspire to be a groomer driver, contact any of our affiliated clubs or email jordanvalleytrailscouncil@gmail.com. A friendly reminder – we groom 7 days a week, 24 hours a day and most groomer runs average between 5 and 8 hours, our trail system now entails roughly 75 one- way miles with the majority of our segments groomed down and back. Remember to grab those 2017 trail permits before you hit the trail, they fund us to be able to give you great trails. Ride safe! Become a member and get involved with a local club, without them there are no trails to ride! ORV RIDERS!!! : As we head into the 2018-2o18 snowmobile season we please ask that ORV’s refrain from using our groomed snowmobile trails. It is not only dangerous for both ORV riders as well as snowmobile riders but our groomer operators spend countless hours preparing and maintaining trails. Ruts created from ORV can be very dangerous for snowmobilers as well as stressful for groomer operators as it requires much more time and effort to properly get the trail back into great condition. Please be respectful of fellow sportsmen. 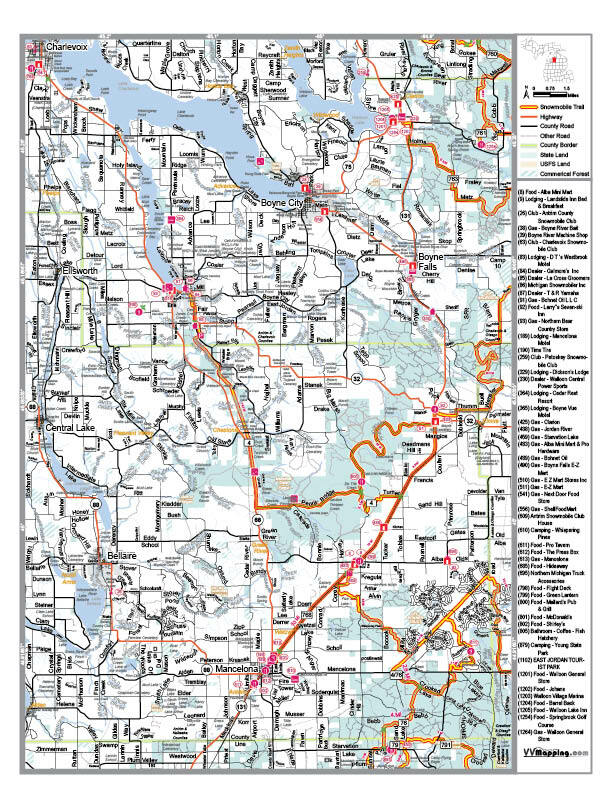 The JVTC is pro ORV and one of our board members has been fighting to gain further ORV routes in the area, but we also realize there is a need for each user group to have their own seasons. Remember it’s that time of year to re-new your dues to your local snowmobile club and the MSA! As we transition from snow to grass and tracks to wheels remember that MANY snowmobile trails in the Lower Peninsula ARE NOT ORV trails! ORV traffic on sled trails causes many contour changes in the trails from banked corners to washed out hills to creating potholes and whoops. All this damage, if fixed, is repaired by snowmobile dollars! If it is not fixed it causes us to start the season with terrain that is already sub par which will create trails of equal caliber. Please be aware of this and ride wisely and stay to the designated ORV trails and routes! Onto the touchy part of our volunteering. When December 1st rolls around and conditions aren’t ideal we have to constantly juggle the dilemma of when is the right time to start grooming. The JVTC is fortunate enough to have decades of knowledge of Northern Michigan trails from our board of directors all the way down to our three trail masters and awesome volunteer groomer operators. Our decisions to groom are calculated decisions and many times involve conversations with area grooming clubs, groomer operators, trail users, MSA volunteers as well as our DNR contact. Many times our decisions are accurate, but there are also times we make the wrong call, it is literally a flip of the coin (which would somedays be a better option). This year we made the decision to hold off on grooming due to the short-term forecast and snowfall on the ground. The decision wasn’t popular by a few but in the end was the right decision that we feel will benefit the trials as we move forward into the season. On Friday we received a phone call from our DNR contact that we had made the right decision and our neighboring club that had groomed, trails were down to dirt and our trails still had snow on them, mission accomplished! Hopefully the predicted snowfall this week will come and we will get out there and do what we do best, make flat, well maintained, safe trails for you to zoom on all the while upholding our commitment as a grant sponsor to make educated decisions for the betterment of the program. At anytime our trail users have questions about what happens behind the scenes we are always here to answer questions. 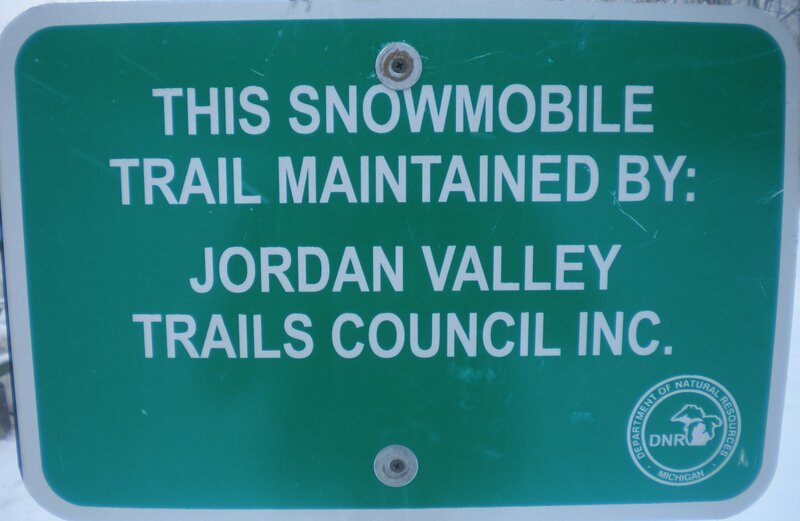 Send a message to the Jordan Valley Trails Council Facebook page or email jordanvalleytrailscouncil@gmail.com and you will be put in contact with the appropriate people promptly. We’re always looking for volunteers to help with trail work, drop us a line if your interested. 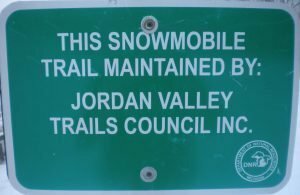 The Jordan Valley Trails Council is a joint effort between the Antrim County Snowmobile Club, East Jordan Sno-mobilers, and the Charlevoix Snowmobile Club. Please support these clubs and remember all the trail workers and groomer drivers are volunteers! GIVE THEM A BIG THUMBS UP! Our fleet includes a John Deere 6150R with a 8 1/2′ Dubie Groomer with dual 30″ wings out of East Jordan, a John Deere 7630 with a 9 1/2′ Dubie Groomer with 30″ dual wings out of Elmira, and a Pisten Bully 400 with a 9 1/2′ Dubie Groomer with dual 30″ wings centered in Mancelona. At full load out 2 of our 3 groomers are capable of grooming 14 1/2′ of snow in one pass! We also have a John Deere 5085 that the Jordan Valley Trails Council owns with a front bucket and Dubie Brush Cutter front attachment for limb cutting as well as 2 mower attachments for storm and seasonal clean up.